According to the organisers of this year’s Global Entrepreneurship Week, which runs from November 15-21, half of all UK children would like to launch their own business. Yet when adulthood comes around, only around one in 20 actually goes on to do so. One of the week’s main themes will be to help remove the barriers to business creation and development that hold so many back from fulfilling their dreams. A committed supporter of this belief is Adam Chambers, CEO of Peninsula Enterprise – the company that delivers the Business Link service across Cornwall, the Isles of Scilly, Devon and Somerset. As part of its own contribution to this effort, the Business Link Growth Service (see www.businesslink.gov.uk/southwest/ growth for more information) in Cornwall and the Isles of Scilly is helping more and more business owners and managers to unlock the ability of their companies to grow in a controlled and meaningful way. This service aims to help the region’s most innovative businesses get to the next level in terms of boosting their profits, employing more people and breaking new commercial and technological ground. Chambers explains: “The service, which is funded by Convergence money, is delivered by our network of highly experienced Business Advisers, and helps business owners concentrate closely on those key factors that will help them grow. Our advisers first work closely with a client to analyse their current resources and skills. Then they help create a unique development action plan, which describes exactly the steps required to meet all the business’s needs and challenges, goals and aspirations. Anybody interested in the Business Growth service should call Business Link on 0845 600 9966 – but one forthcoming forum in particular will provide a great opportunity to find out more about it, as well as learning about the characteristics of a leading entrepreneur and having a thoroughly interesting and entertaining time. Week at Trelissick Garden near Truro on November 15. 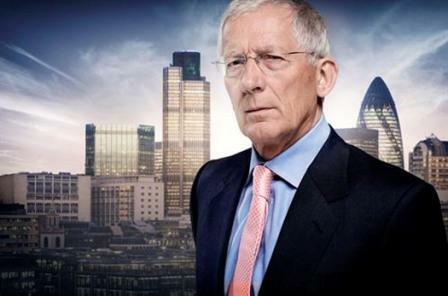 The main guest speaker will be Nick Hewer – best known from BBC1’s The Apprentice as Lord Alan Sugar’s ‘right hand man’. Hewer will highlight the talents and characteristics of high achieving contestants from The Apprentice television series, his experiences working alongside Lord Sugar and he will be available alongside the other guest speakers to respond to questions from the audience. He also has something of a message of hope. “Despite continuing economic uncertainties, the scope for growth is still there,” he says. “There are plenty of opportunities for ambitious people with the right ideas and clear focus to develop and build on the existing strengths of their business for commercial expansion and sustainable growth.